The release of another batch of Hillary Clinton emails, courtesy of the State Department, provides an opportunity to glimpse inside the formation of the Obama administration's approach to Iran in the early days of his presidency. Several interesting emails in particular shed some light on the important role a pro-Iranian lobbying group played in shaping U.S. policy. In fact, given the smear merchants who constantly berate the "Jewish lobby" as being all-powerful in Washington, it turns out that the Iran lobby has been far more influential during the Obama presidency and that they've had the ear of key policymakers in the administration. As Hillary Clinton's emails demonstrate, a 10-page plan sent to her by four key members of The Iran Project provided the blueprint for America's strategy with Iran. Perhaps no one has taken a deeper dive into the Iran lobby than Lee Smith, a senior fellow at the Hudson Institute and senior editor of The Weekly Standard. In a series of articles he penned in his Tablet Magazine column, "Agents of Influence" in 2010, he explored the dueling Iran lobbies in detail, half a year after the protest movement in Iran was crushed by the regime. In "Iran's Man in Washington," Smith explored Flynt Leverett and his wife, Hillary Mann Leverett, whose main claim to fame rested on Flynt's access to the hard-line elements of the regime in Tehran and the couple's invention of a "grand bargain" offered by Iran in 2003. Smith explains that Flynt "was lionized by liberals for his opposition to the Bush administration's Iran policy." Although the legend of the Grand Bargain has been discredited, the tale--a narrative describing a sensible, realistic Iran eagerly courting a stubborn Washington, with the Leveretts in the middle of things--served its purpose. It not only identified the couple as critics of the Bush administration, it also certified them as experts about the Iranian regime--and as instruments through which the regime might influence Washington. Another pillar of the Iran lobby in Washington, Smith writes in "The Immigrant," is Trita Parsi, head of the National Iranian American Council (NIAC), who became the face of the Iranian-American lobby in Washington. Unlike the Leveretts, Parsi "nurtured a relationship with regime insiders close to Akbar Hashemi Rafsanjani--the so-called 'reformers' in Tehran--who have squared off against the faction favored by the Leveretts, which includes Supreme Leader Ayatollah Ali Khamenei, President Mahmoud Ahmadinejad, and the Revolutionary Guard Corps." Trita Parsi came to the U.S. from Sweden in 2001, having left Iran when he was four years old, in 1978 before the Iranian revolution kicked into high gear. In 2002, he formed the NIAC "hoping to give voice not only to the diaspora's talents and resources but also its growing resentments." In a recent article, "Meet the Iran Lobby," Lee Smith described Parsi as "the tip of the spear of the Iran Lobby," who "won a defining battle over the direction of American foreign policy." Given the nuclear agreement reached in Vienna in July, there can be no doubt that Lee Smith is right. The Iran lobby has indeed become powerful in Washington's policy circles and at the highest levels of government. 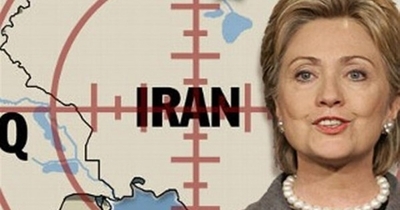 This is the story of another pillar of that lobby, The Iran Project, and the role they played in working with the Obama administration in its infancy to form an approach to Iran, as evidenced by former Secretary of State Hillary Clinton's emails. Preferring to eschew the hardball foreign policy of the George W. Bush administration, it's no secret that Obama believed he could catch more bees with honey. Shortly after taking office in 2009, the new president began a process of engagement with Iran that was ultimately designed to reestablish full U.S. diplomatic relations. A major Israeli newspaper, Maariv, reported that Washington was ready to hold senior level diplomatic contacts, agree to reciprocal visits, approve security cooperation between the countries, establish direct flights between the U.S. and Iran, and grant visas to Iranians wishing to visit the United States. Much to Obama's chagrin, the Iranians rejected the overture. President Obama, however, remained determined to strike a grand bargain with Iran. During his initial diplomatic outreach, thousands of Iranian protesters took to the streets to protest the fraudulent election results that reelected Mahmoud Ahmadinejad. The regime brutally cracked down on the protesters killing hundreds, and arresting and torturing thousands. But Obama was undeterred and kept engaging with the regime. Nor did he appear to re-think his approach few months later in September when the U.S., Britain, and France revealed that Iran was secretly building a uranium enrichment facility in a mountain near Qom that came to be known as the Fordow facility. Despite the failure of Obama's outreach in his first year and the clenched fist response offered by the regime in Tehran, the White House was still in need of a strategy with Iran. The blueprint that the Obama administration eventually adopted was one put out by the president of the Rockefeller Brothers Fund, Stephen Heintz, and former ambassadors, William Luers, Thomas Pickering, and Frank Wisner. They are the key members of The Iran Project, a pro-Iran lobbying group "dedicated to improving the relationship between the U.S. and Iranian governments." Peter Waldman explained in an article for Bloomberg Politics that "for more than a decade they've conducted a dialogue with well placed Iranians, including Mohammad Javad Zarif," Iran's foreign minister and chief nuclear negotiator. The Rockefeller Brothers Fund spent millions of dollars since 2003 promoting a nuclear agreement with Iran, mainly through The Iran Project. After the 9/11 attacks, The Rockefeller Brothers Fund's president, Stephen Heintz, became more infatuated with Iran and he began thinking about "its geostrategic importance and its relation to the Sunni world," Heintz said. So he established The Iran Project in cooperation with the United Nations Association of the U.S. headed by William Luers. Luers made contact with Mohammad Javad Zarif through Iran's mission to the UN in New York. He also recruited career diplomats Thomas Pickering (who also serves on NIAC's Advisory Board) and Frank Wisner. They "developed a relationship with Zarif, who was stationed in New York representing Iran at the UN. In early 2002, The Iran Project set up a meeting with Iranians affiliated with the Institute for Political and International Studies in Tehran, a think tank with close government ties," Waldman explained. The secret meetings they held in European capitals stopped when Mahmoud Ahmadinejad became Iran's president in 2005 but their relationship with Zarif proved to be lynchpin in getting negotiations underway when he was made foreign minister in 2013. Waldman quotes a State Department official saying that the administration welcomed backchannel efforts like The Iran Project's because "it proves useful both to have knowledgeable former officials and country experts engaging with their counterparts and in reinforcing our own messages when possible." But The Iran Project, which became an independent non-governmental entity as Barack Obama took office in 2009, did more than that for the State Department under Hillary Clinton. They provided the initial plan that as their website states, would "encourage greater cooperation between the U.S. and Iran for greater regional stability." In other words, early on in the Obama administration, the decision was made that a deal with Iran would be about more than their nuclear file. In December 2010, Secretary of State Hillary Clinton and Under-Secretary of State William Burns met with Heintz, Luers, Pickering, and Wisner--four of the nine key leaders of The Iran Project. As Hillary Clinton's emails demonstrate, Pickering emailed her their 10-page plan that "provides fuller detail on the ideas we discussed" on December 22, 2010. Entitled, "Toward a New Policy on Iran," it provided the outline for U.S. policy toward the Islamic Republic. Indeed, most of the features contained in the plan are recognizable looking back at U.S. diplomacy since that time. It is, in essence, a document of America's surrender from the Middle East and acquiescence in Iran's dominance in the region. This policy prescription would set the table to discuss the terms of that surrender. "We propose that you urge the President to instruct you to open a direct relationship with Iran," their 2010 policy paper states. "The burden rests on the U.S. to convince an uncertain Iranian leadership to come out of its shell." That required written assurances that the Obama administration would not seek a policy of regime change. Mr. Obama sent Supreme Leader Ayatollah Ali Khamenei a letter early in his first term and many more followed between either Khamenei or President Rouhani after his 2013 election. To start off on the right foot with Iran, President Obama "must find a way to communicate directly with the Supreme Leader a U.S. desire to open official talks" and it should be conducted through a personal emissary he appoints to deliver oral messages. According to Israel's biggest-selling daily newspaper, Yedioth Ahronoth, Barack Obama dispatched a personal emissary to a series of secret meetings in the late summer and autumn of 2012 to meet with "Iranian officials led by a personal representative of Iran's supreme leader Ayatollah Ali Khamenei." Obama's emissary was his special adviser, Valerie Jarrett, a Chicago lawyer and close friend of Mr. Obama, born in Shiraz, Iran, to American parents. The paper described her as "a key figure in secret contacts the White House is conducting with the Iranian regime." What Obama's emissary should call for "in a respectful tone" is mutual recognition of the other's legitimate interests in the area. That means before any discussions would commence, the U.S. would have to recognize as legitimate, Iran's reach into Iraq, Syria, and Lebanon, to the Mediterranean Sea. In other words, the United States should sign up to legitimize the export of the Islamic Republic's revolution, a central raison d'être of the regime that emerged after the 1979 revolution. A thaw in relations must precede progress on the nuclear deal, this Iran lobby argued, because one of the consequences of continuing with the current policy "will be the missed opportunity to engage Iran in a long term constructive regional strategy." Indeed, with Iran acting as America's partner in the Middle East, there will be an opportunity to help establish "a regional security structure aimed at giving Iran and the Gulf states a greater sense of stability." This would allow the U.S. and Iran "to develop together approaches to... eventually weaken Iran's support for Hamas and Hezbollah." This, of course, is akin to discussing fire safety measures with the neighborhood's leading arsonist. Therefore, the U.S. should immediately redeem Iran, end its isolation, and cooperate with the regime in Tehran on other issues of mutual interest before discussing the nuclear program directly: "A U.S. offer to cooperate with Iran as an equal partner on one or more non-nuclear issues will set the stage for [sic] more fruitful discussion of the nuclear issue. The U.S. will improve markedly chances to get Iran to deal seriously with the nuclear issues by starting with an offer to cooperate on other problems in the region." That is precisely what the Obama administration has been at pains to avoid saying publicly--that the U.S. has acted as Iran's air force in Iraq in an effort to rollback the Islamic State of Iraq and Syria or ISIS. In Lebanon, the U.S. intelligence community has teamed up with the Lebanese Armed Forces' military intelligence, essentially now a subset of Hezbollah, to fight Sunni extremists. In Iraq, the administration has dispatched arms to Prime Minister Nuri al-Maliki, another Iranian asset who is allied with groups that have killed American soldiers, like Asaib Ahl a-Haq, to support his counter-insurgency against Sunni fighters. Regarding the nuclear negotiations themselves, the plan's authors called on the administration to adopt an approach that would provide for Iran's enrichment under international supervision and would eliminate any suggestion that Iran suspends either its enrichment or its manufacturing of key components for their nuclear facilities as a precondition for any progress toward direct talks. And finally, once they begin to negotiate directly with each other, the U.S. should set aside the "zero enrichment preconditions for any progress in the talks." That means shredding the previous six UN Security Council resolutions aimed at stopping Iran's nuclear program and offering upfront to Iran the right to enrich uranium on its own soil. Most critics of the nuclear pact reached in July consider the original sin to be Obama's concession to Iran that they would be allowed to complete the full nuclear cycle on their own soil. Picking up on the Iran lobby's paper, another key talking point the Obama administration relied on is an understanding that "the Leader's fatwa against the building or use of nuclear weapons could establish an excellent basis for discussions with the aim of agreement for greater IAEA access to Iran's nuclear program to assure the world about Iran's nuclear intentions and develop an arrangement regarding enrichment." This nuclear fatwa, however, is a canard and a hoax. It is "nothing more than a propaganda ruse on the part of the Iranian regime," according to many analysts including the Middle East Media Research Institute. Nevertheless, it has been frequently cited by the administration and repeated by Mr. Obama in his March 2015 annual statement to Iran marking the Persian new year. And the IAEA now has secret side deals with Iran for inspections with holes so big one could drive a rundown Iranian Saipa through. To top it all off, The Iran Project policy plan also called for "mutual recognition that both leaders of the U.S. and Iran have stated publicly their desire for a world without nuclear weapons." That was designed to send a shot over Israel's bow--an assumed nuclear weapons program that sparked no regional nuclear arms race such as Iran's today. True to form, with the July nuclear deal sealed and in the rearview mirror, Mohammad Zarif penned an article in The Guardian, "Iran has signed a historic nuclear deal--now it's Israel's turn." If the Obama administration did not adopt this plan in its entirety, then it would be an impressive coincidence that just about all of the proposals in The Iran Project's blueprint were adopted and the predictable outcome is the shameful and harmful nuclear deal with Iran. It's not just that the Obama administration was willing to adopt the deal; it's the workman-like salesmanship of the deal that Mr. Obama is engaged in. Despite poll after poll indicating that the more Americans learn about the deal, the less they like it--with a two-to-one margin currently opposed--President Obama has stood resolute. Instead of explaining that the deal wasn't perfect but it was the best he could negotiate and it meets U.S. security needs, or acknowledging that his critics have some good points (since they're based on the President's broken promises) and working to make a few unilateral adjustments that would set more minds at ease, he has chose a different path. He offered no quarter, likening the experts who came out against the agreement to "Lobbyists and pundits" who "were suddenly transformed into arm-chair nuclear scientists." Then, he labeled them "the crazies." In a manner befitting of former CIA Director George Tenet's "slam dunk" prognosis in the run up the 2003 Iraq war, Obama even declared: "I've had to make a lot of tough calls as President, but whether or not this deal is good for American security is not one of those calls. It's not even close." The crystal clear reality is that the Obama administration is not just onboard with the Iran lobby's positions, but he has bought it all--hook, line, and sinker. Whether the inception of the idea began before he came to Washington, or whether The Iran Project, the National Iranian American Council, or the likes of the Leveretts cemented the approach he would adopt during negotiations, one thing is certain: The nuclear deal with Iran is a boon for all involved other than the U.S. and its allies in Israel and the wider Middle East. It marks America's definitive shift away from its traditional regional allies and defines a new relationship with an adversary that is unfortunately based on hope rather than experience. The Iran lobby will no doubt celebrate this and build on their quiet and impressive success.